In an earlier article, I gave you some of the BSA’s tips for trainers from the national website’s training page. Here are a few more, dealing this time with the content of your presentations. While much training depends on a syllabus provided by BSA, occasionally we need to develop our own material, either in conjunction with an established training course or one we are putting together for a special presentation, such as a class at University of Scouting. Think Like a New Scouter – Remember what it was like when you first joined Scouting. Don’t “hit them with the fire hose”, help them drink from the water fountain. Try to aim your material at who you anticipate will be the newest and most uninformed on the topic. Don’t assume that your students know any material you consider to be pre-requisite unless it is clearly an advanced course. Teach to the Back Row – Be sure, in advance, that the folks in the back of the room can see and hear your content. The letters and charts on slides, posters, and flipcharts need to be large enough for everyone to read them. If that is not possible and you cannot share the information verbally, use a handout or another media. You should also speak loudly and clearly enough so that the back row can hear and understand you. Move around the room as you talk, approaching the back of the room. This will keep the front rows “awake” as they follow you, and will help the back rows to hear better, as well as make it easier to ask questions. Make eye contact with each person at some point during your presentation. Experience Matters – There is a Chinese proverb that says “I hear and I forget, I see and I remember, I do and I understand.” It has also been said that we learn: 10% of what we read, 20% of what we hear, 30% of what we see, 50% of what we see and hear, 70% of what we discuss, 80% of what we experience, and 95% of what we teach others. Of course there are variables, but participatory, experiential learning has a real impact. Turning around and teaching a newly-learned skill doesn’t just work with the boys. Try having your students reinforce the material with each other by reviewing it or practicing skills learned within their training dens or patrols. Use the Language of the Learner – “The SPL was elected to the OA, and he wants the PLC to attend NYLT this summer. 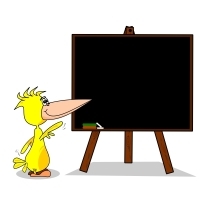 He is going to NAYLE at PTC.” We know that many new leaders are reluctant to ask when they hear a term they do not understand or if the training does not relate to them, so they begin to “tune out.” When it is self study they can’t ask. 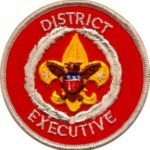 If we teach in terms or concepts that they are familiar with, we can help them get off to a better start and a new Scouter will soon “speak Scouting” and be more comfortable in Scouting. Use the full terminology – not abbreviations – at all times. It may sound repetitious to keep saying “senior patrol leader” when “SPL” is what we would say to each other, but if one of your students misses that initial connection, they’ll be lost for the rest of the day. Many folks who are new to something fear being exposed as a “newbie” by asking what they feel may be considered obvious questions. KISMIF – That famous Cub Scout tip is a good one for training in Scouting. Keep It Simple, Make It Fun! People are in a better mood and make better learning connections when they are having fun. Put pizzazz in training! Sign up for your council’s next Trainer’s Edge course to find out great ways to do just that. Avoid verbal tics – OK, so verbal tics are those, like, extra words and phrases that, ya know, we often toss into everyday conversation, right? While you may be saying them subconsciously, your audience will pick up on them and will start noticing every time you say one. One way to see if you’re using verbal tics is to make a recording of one of your presentations. It doesn’t have to be a fancy video – just set your phone or a voice recorder on the lectern and record a voice memo. (Video can also be helpful to see if you have any physical habits that can distract, like jingling the keys in your pocket or touching your ear.) Then practice ways to eliminate the behavior. Be thinking ahead while you are talking so you don’t “empty the bucket” leaving your mouth to say “aahhhhh” while you think about where you are going next. One way to avoid it is to force yourself to just say nothing. As you practice, the gaps will get shorter and shorter, and your speaking pace will more closely match your cognitive pace. Anticipate questions – You may think you have included all the pertinent material in your presentation, and that you know the material thoroughly, but there are bound to be questions that the audience will think of that you haven’t anticipated. Read through your presentation pretending you know nothing about the subject – or, better yet, try it out on a family member or fellow Scouter – and try to imagine any questions that the material might lead to. A good practice is to give your students “just enough” information and leave them to ask followup questions that lead to additional information. If the questions don’t come, and you feel it’s important enough, you can always continue on the topic. You could even work with a colleague in the audience to ask follow-up questions if none are forthcoming, This would help to encourage further interaction with the rest of the audience. Review – The old advice of “tell ’em what you’re going to tell ’em, tell ’em, then tell ’em what you told ’em” is good for reinforcing the message. If time permits, go back and repeat some of the key points in your presentation. Many BSA training courses include a summary at the end of each topic. Don’t leave them hanging with a sudden “That’s all, folks!” – provide them closure by briefly going back over the highlights. I hope these tips and embellishments are helpful to you in your training programs. Good luck!